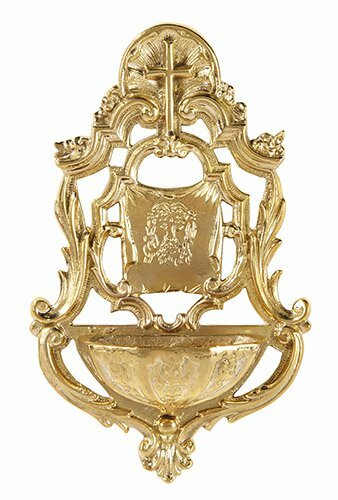 Personal sized or home use holy water font. Cast in solid brass the design features a cross and representation of the Shroud of Turin above the holy water vessel. Liner not included.